The joint venture of Federal Capital Partners® (FCP) and Roi-Tan Investments, LLC (Roi-Tan) have announced the signing of Garden & Gun, LLC (Garden & Gun) to 19,726 square feet at the Cigar Factory building in Charleston, SC. Garden & Gun will relocate its headquarters to the redeveloped building, which will accommodate offices as well as retail space to collaborate with complementary brands and those highlighted in their award-winning national magazine, Garden & Gun. “Garden & Gun is an incredible company that fits perfectly with our vision for the building,” said WECCO Principal, William Cogswell. Also signing on to take space in the Cigar Factory is Indigo Road Restaurant Group, who is planning a large event space over a 7,500 square foot authentic gourmet market which will include retail, coffee, breakfast, lunch, prepared foods and an in-house charcuterie program. Indigo‘s market concept will also include a 1,700-square-foot bar and an indoor bocce court. FCP, a Chevy Chase, MD based private equity firm and Roi-Tan Investments, LLC, comprised of a group of prominent local investors led by William Cogswell of WECCO Development, LLC and Jay Weaver of Weaver Capital Partners, LLC, announced on April 21st, 2014, their $24 million acquisition of the historic property and outlined extensive redevelopment plans that will deliver the five story, 244,000 square foot building in the first quarter of 2015. “Garden & Gun is an incredible company that fits perfectly with our vision for the building,” said WECCO Principal, William Cogswell. “Their brand and growth trend epitomizes the rise of the new creative industries calling Charleston home.” The venture extends its appreciation to David Ingle at NAI Avant for his representation of Garden & Gun, LLC in the lease transaction. “We are thrilled by the possibilities that the Cigar Factory offers Garden & Gun as our new headquarters. It will not only give us much-needed additional office space, and more opportunities to interact with our readers, but also is a great example of urban renewal and conservation that we support as a brand,” said Rebecca Darwin, President & CEO of Garden & Gun. Garden & Gun, LLC is a lifestyle brand anchored by its award-winning national magazine, Garden & Gun that covers the best of the South, including the sporting culture, the food, the music, the art, the literature, the people and their ideas. With a national audience of more than one million passionate and engaged readers, the magazine has won numerous awards for its journalism, design, and overall excellence. The publication was launched in the spring of 2007. The company and editorial team are headquartered in Charleston, South Carolina, with advertising sales offices across the United States. example of Victorian era commercial architecture, with unique, high, exposed ceilings and sweeping views of the river, Ravenel Bridge and the city skyline. Located just a short walk from Upper King and its array of retail and restaurants, the Cigar Factory is well positioned to attract local and national tenants. The immediate proximity to the Ravenel Bridge and I- 26 as well as ample on-site parking have already generated strong interest from tenants who place great value on their ability to avoid the congestion of the downtown historic district. Located at 701 East Bay Street in Charleston’s Peninsula, the Cigar Factory is the one of the City’s largest privately owned properties within the Historic District, sited on 4.5 acres at the foot of the Ravenel Bridge. Built in 1882 as a cotton mill, the Cigar Factory building was sold in the early 1900s to American Tobacco Company, which manufactured the popular cigar brand, Roi-Tan, until the 1970’s. The property was later redeveloped into office space and used commercially under various owners. 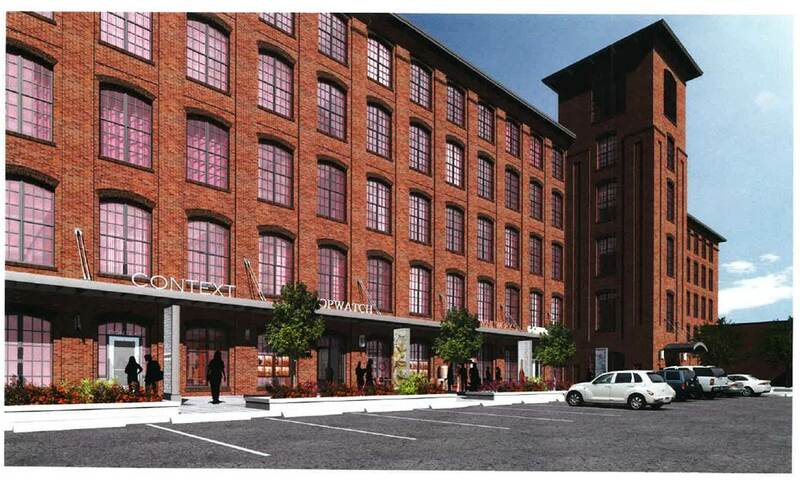 Plans for the redevelopment include utilizing much of the substantial work that has been done in recent years and taking advantage of the property’s unique ability to qualify for Federal Historic, State Historic and Textile Mill Tax Credits. Roadstead Real Estate Advisors, LLC and Palmetto Commercial Properties, Inc. have been retained for the office and retail leasing. For additional leasing information, contact either Geoff Groat of Roadstead at (843) 577-7732 ext. 222 or Richard Morse of Palmetto at (843) 577-2550. Roi-Tan Investments, LLC consists of local investors Walker Brock, William Cogswell, Mark Cumins, Todd Eischeid, John and Darrell Ferguson, John Tuck Morse, Richard Morse, Jerry Scheer, Chad Walldorf and Jay Weaver. Federal Capital Partners (FCP) is a privately held real estate investment company that has invested in or financed more than $3.5 billion in assets since its founding in 1999. FCP is seeking equity, preferred equity and mezzanine debt investments in commercial and residential real estate throughout the Mid-Atlantic region, including Washington DC, Maryland, Pennsylvania, Virginia, Delaware, West Virginia, New Jersey and the Carolinas. FCP buys assets directly as well as through joint ventures with local operating partners. The firm, based in Chevy Chase, MD, owns and manages in excess of $2.3 billion in assets. FCP is currently investing its second investment fund, a $529 million commingled, discretionary fund closed in 2012. For further information on FCP, please visit http://www.fcpdc.com.